Whether you’d like to go hiking with your best friend or your soul mate… you will absolutely love these fantastic hiking trails for two! 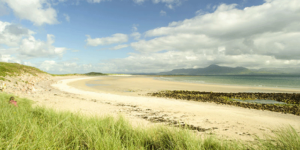 There are many reasons to love this epic trail: Firstly, we have the majestic coastal landscapes of Northern Ireland. 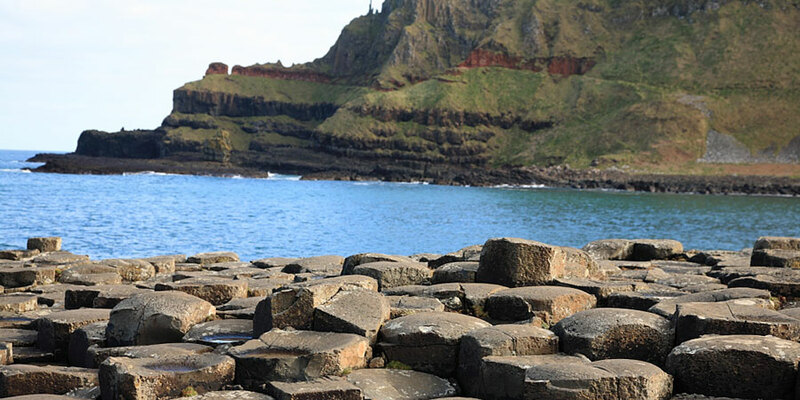 Then, we have fascinating local legends such as the story of the land’s most famous giant: Fionn McCull, who gave name to the Giants Causeway. And lastly, if your hiking ‘bestie’ is a Game of Thrones fan, this trail will take you to some of the filming locations of the show. Hiking trails don’t get any more epic than the Causeway Coast Way! 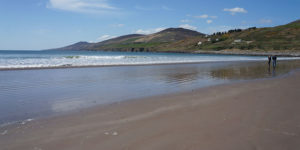 The Dingle Peninsula is home to phenomenal beauty, friendly locals and endless music sessions. 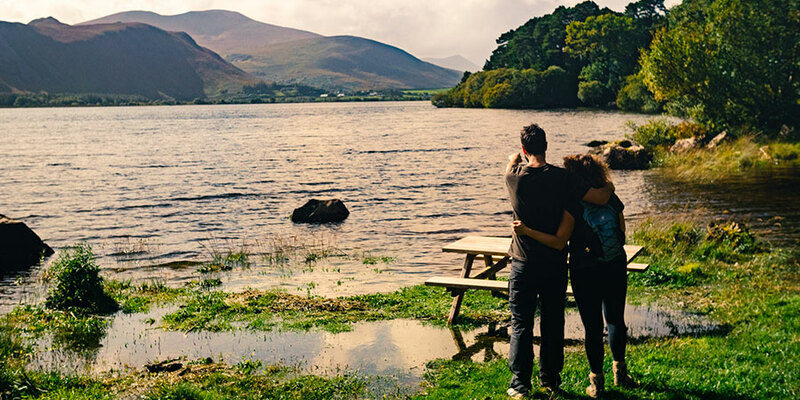 To get into the heart of this lively part of Ireland, take your hiking buddy to the trails of the Kerry Camino which is only 3 days walking from Tralee to Dingle’s St James Church. 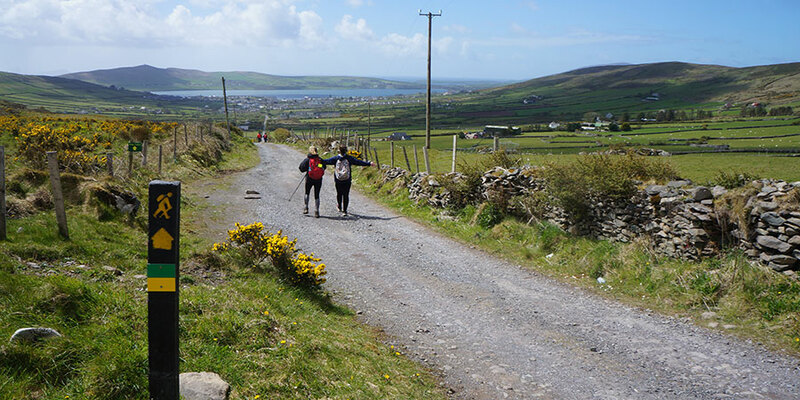 And if you are in the mood for a memorable hike, you can complete the full Dingle Way, which takes 8 days walking and it’s a stunning trail taking in all the charms of this peninsula on the Wild Atlantic Way. 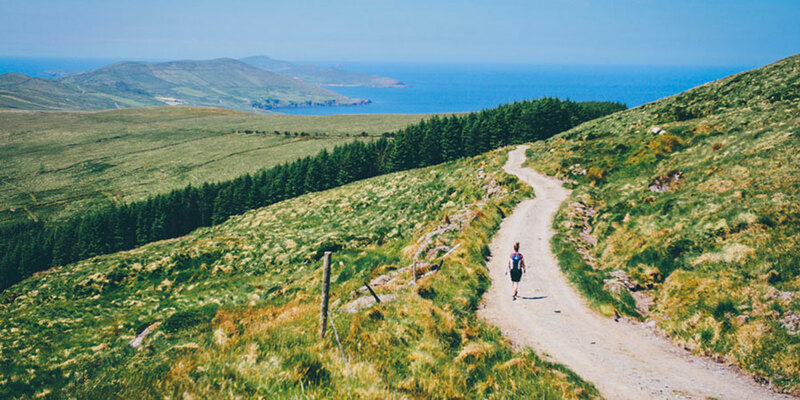 The Beara Way hiking trail in West Cork is perfect for adventurous duos looking to go off the beaten track in one of the wildest peninsulas in the West of Ireland: Beara. 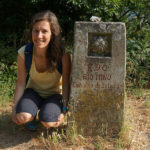 Great food, peaceful tracks with wonderful panoramic views and lots of interesting history and archaeology make this hike really special. 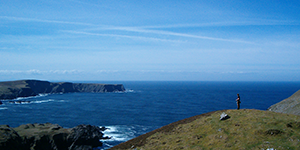 At the tip of the peninsula, take the cable car to Dursey Island, the only one still in operation in the country. Who would you like to take with you on these fantastic hiking trails?